Fancy a sunny holiday in Tuscany? Our caravans are on a beautiful lane camping Paradiso, on the outskirts of Viareggio in beautiful Tuscany. The fully equipped caravans provide accommodation for up to 6 people. With two bedrooms and a spacious veranda they are perfect for a family vacation or entertaining friends. The site is located approximately 800 meters from the beach. With a bustling boulevard along the beach, where restaurants and bars are fun to eat evening snack and a drink. 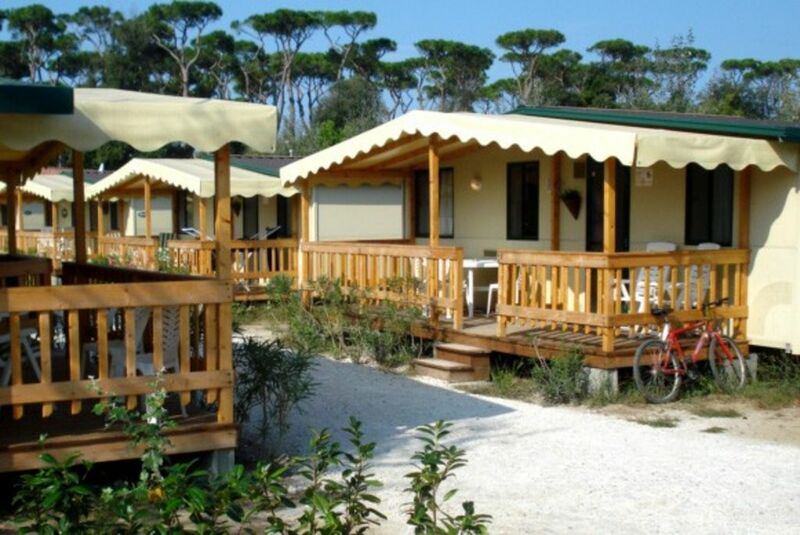 Our caravans are on a beautiful lane camping Paradiso, on the outskirts of Viareggio in beautiful Tuscany. The fully equipped caravans provide accommodation for up to 6 people. With two bedrooms and a spacious veranda they are ideal for a family holiday. About 1200 meters from the campsite is a beautiful wide sandy beach. You get there via a woodland path through a nature reserve. By bike in about 5 minutes on foot in about 20 minutes. You can choose on the beach for the free beach or rent a beach chair with umbrella. In high season a shuttle bus from the campsite to the beach.